This article shares one real case study. How hacker uses a phishing site to steal your ID/PWD. Obviously, it’s NOT from yahoo. However, if you are using mobile phone to read the mail, it’s very difficult to observe and notice it. Once you click the “Update” link in the mail, it will direct you to the phishing site. Again, it’s NOT yahoo site. In addition, it’s an ORG site URL. 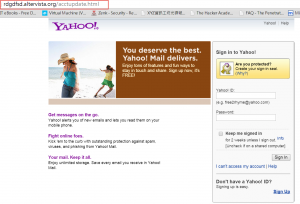 “.org” site can also be used as phishing site not only .com. It also shows you the popup window and require you to do sign-in again. 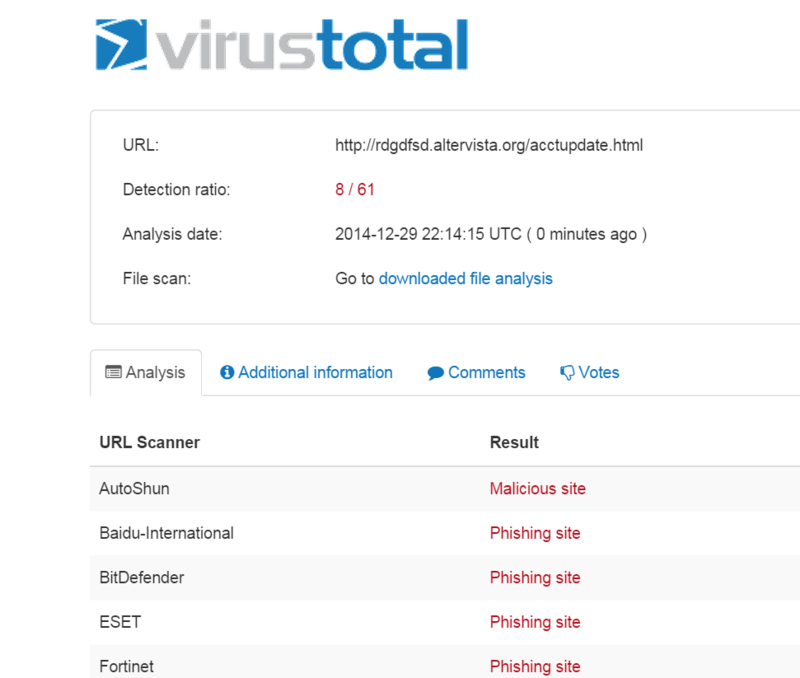 if we use “virustotal.com” to analyze the URL, you will see the detection ratio is getting higher. 8/61. It means 8 antivirus vendors detects this URL as suspicious site out of 61 vendors.